← Ive finished digging the lawn! I’ve looked back over my entries and I am clearly obsessed with the weather. I certainly have a very weather dependent occupation but I hadn’t realised how much of my blog was connected to it. The seasons are a big part of day to day life as well, and as it comes up to Halloween I’ve been thinking about flowers in pumpkins and about fiery orange colours. 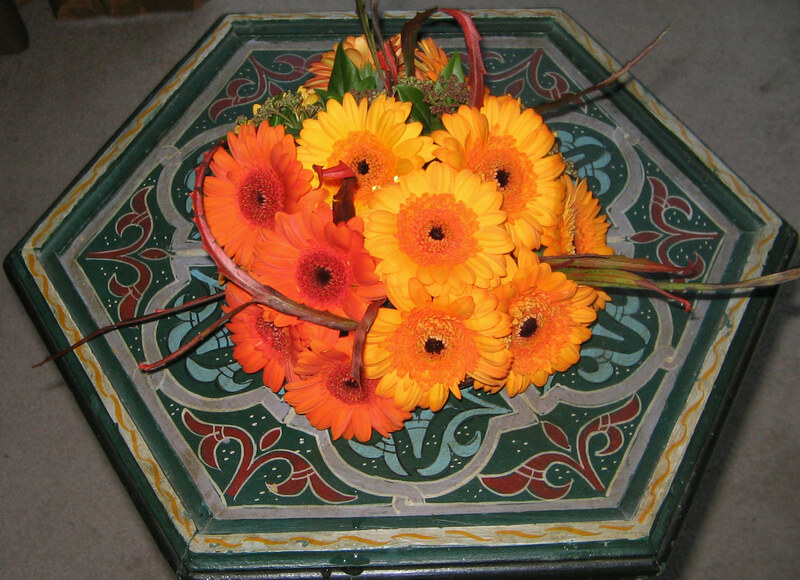 I’m not generally a big fan of gerberas (they’re a bit too perfect looking) but thes e are a great colour for this time of year and actually once I’d done it I really quite liked this neat little table arrangement. Chilli jam is on the agenda this afternoon. I’ve never had such a bumper crop ever. 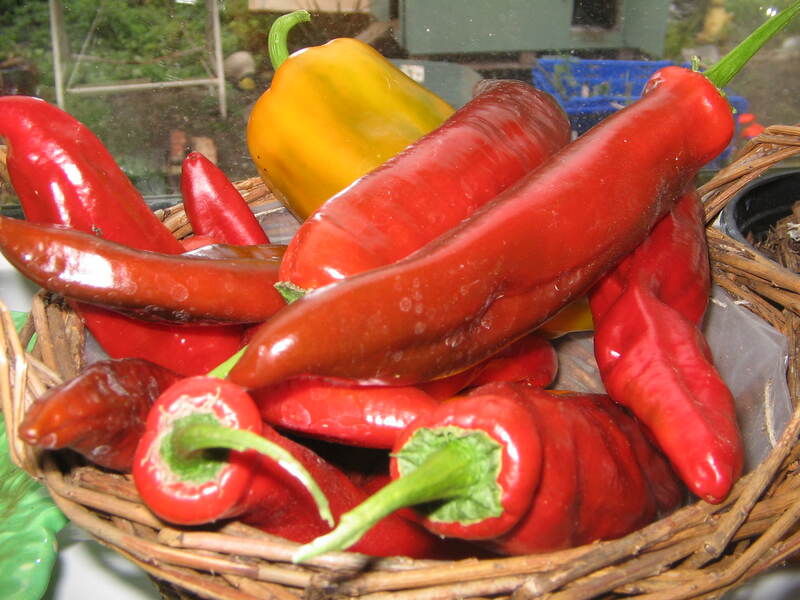 I know you can dry then, freeze them and of course cook with them but at this rate I shall be eating chillis till the cows come home. So in my bid to preserve everything surplus from the garden this year I’m experimenting with chilli jam. I’ll let you know how it goes.